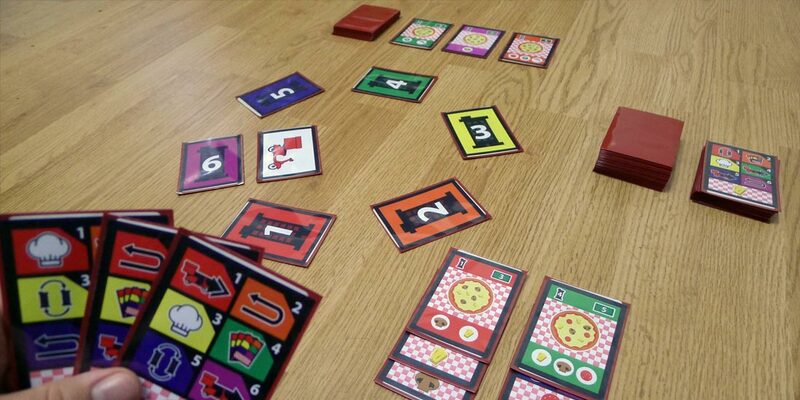 Pizza-go-round is a card game where you take orders, prepare the pizza and deliver at the right house! It’s for 2-4 players and plays in about 30 minutes. If you’re familiar with Carousel you’ll recognize the main mechanics: each action card has all possible actions, and the bike’s position defines what happens when you play it. 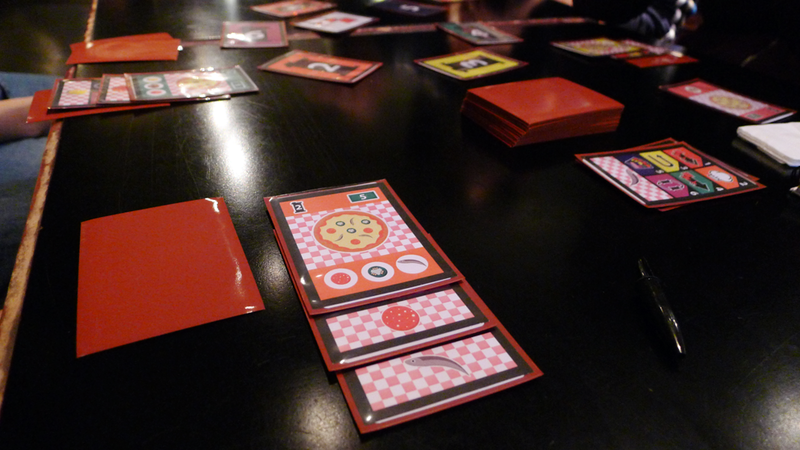 The new theme brought along the order and cooking mechanics, and a much clearer final goal. It’s also easier to mess up other player’s plans since the standing orders are in plain sight.